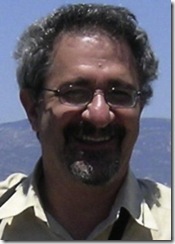 Professor Ioannis Vardoulakis died at the age of 60 as a result of a tragic accident. On 6 September 2009 he fell from a height while gardening, sustaining extensive cranio-cerebral injuries. Despite immediate and extensive surgery he never regained consciousness, and eventually passed away in hospital on 19 September 2009. Ioannis Vardoulakis was born in Chania, Crete, Greece in 1949. After attending the German School of Athens for secondary education, he entered the National Technical University of Athens (N.T.U.A. ), from where he graduated in 1972 with a 5-year Diploma of Civil Engineering. Soon after, he started a Ph.D. in Soil Mechanics at the University of Karlsruhe, in Germany, which he obtained in 1977 ‘Mit Auszeichnung’ (with the Highest Honours). In 1980 he was appointed Assistant Professor in the Department of Civil Engineering of the University of Minnesota, USA., in 1983 was promoted to Associate Professor and in 1986 to the rank of Professor. In 1990 he returned to N.T.U.A., where he was appointed Professor of Mechanics in the Department of Mechanics of the Faculty of Applied Mathematics and Natural Sciences, where he served until his untimely death. Ioannis Vardoulakis was internationally recognised as a leading researcher in the field of Geomechanics. His range of expertise was very wide; he made major contributions in Experimental and Computational Geomechanics, in Constitutive Modelling, in Bifurcation and Localisation Theory, in Liquefaction, Fluidisation and Internal Erosion, and in Multiphase Flow in Granular Media. In support of his research he received over the years a large number of grants from a variety of national and international funding agencies and industries. His latest achievement was the award of a prestigious and substantial 5-year grant from the European Research Council through the IDEAS programme with the objective to investigate the “Mechanics of Energy Dissipation in Dense Granular Materials”. He published his work widely, having (co)-authored over 130 papers in refereed research journals and a well-known, unique in its kind, monograph on Bifurcation Analysis in Geomechanics. His work is highly cited by peers, with over 2000 recorded citations, while his seminal paper on “The thickness of shearbands in granular materials” is the second most-cited paper in the history of Geotechnique journal. For his outstanding contributions to Geomechanics he was awarded the Bishop Medal in 1996 by the UK Institute of Civil Engineers and the Medal of the Japanese Geotechnical Society in 2002. Ioannis Vardoulakis was highly active in the international geomechanics arena. He Chaired the Technical Committee 34 (TC34) on Deformation of Earth Materials of the I.S.S.M.G.E. during the period 1998–2001 and has been a core member since. He was also a core member of the “A.L.E.R.T. Geomaterials” network, contributing actively in the network’s effort to develop a European School of Thinking in the field of the Mechanics of Geomaterials and leading many of the network’s activities over the years. At the national level, he served as General Secretary of the Hellenic Society for Theoretical and Applied Mechanics in 2003–2006 and as Vice President since 2007. His expert opinion was highly sought after; he was reviewer for 30 international research journals and 17 national and international organizations. In addition to being a passionate and highly successful researcher, Ioannis Vardoulakis was dedicated to teaching and held good teaching to high esteem. Indeed, to show his respect and esteem for a colleague, he would call that person “a good teacher”, which was a high compliment on his part. His teaching was rigorous and seminal, not hesitating to introduce new ideas, such as the Timoshenko beam and bifurcation buckling, to first-year undergraduate courses. Among his other teaching activities, at N.T.U.A. he developed and taught a novel undergraduate Mechanics course that combined concepts from continuum mechanics, fluid mechanics, continuum thermodynamics and traffic flow theory. In recent years he was repeatedly invited to teach that course in English at the Institut Nationale Polytechnique de Grenoble. At the graduate level he is remembered for his systematic, rigorous, cutting-edge lectures on subjects ranging from continuum mechanics and bifurcation theory to plasticity and thermo-poro-mechanics at N.T.U.A., the Doctoral Schools of A.L.E.R.T. and elsewhere. As a Ph.D. advisor, Ioannis Vardoulakis deeply believed in the benefits of collaboration with other internationally-leading researchers (other “good teachers”), so he strived to offer his students opportunities for appropriate short-term placements at other universities around the world. He gave his students freedom to pursue their own ideas, while he generously spent his time discussing the problems they encountered and offering advice, guidance, parallels from Greek philosophers and inspired maxims. He advised to completion 14 doctoral students, 6 of whom are already members of academic staff in universities around the world. Phrases such as “Difficult is only the thing we do not know” and “I don’t understand the word ‘believe’: this is science, so either you know or you don’t” are continuing sources of inspiration for all who worked with him. Professor I. Vardoulakis’ contributions to Geomechanics are numerous and have a lasting effect. Ioannis Vardoulakis is survived by his wife Tania, his daughter Katia and his son Pavlos, who live in Athens, Greece. 发布在科学工作 已有标签 土力学, 科学家. 将该链接存入书签。 发表评论或留个互链：互链地址.